Randwick Electrical is a local and friendly team of skilled and caring Kingsford Electrician’s. 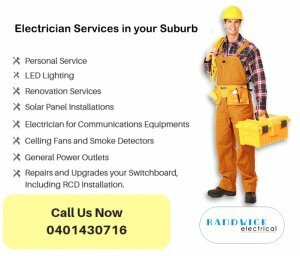 Our small team at Randwick Electrical are Kingsford based Electrician’s. We Regularly in Kingsford and are only a phone call away. A call out for a Randwick Electrician is going to be quick and cost effective. Our Randwick Electrican’s care about our customers and we strive to do the best job for our customers every time. Randwick Electrical you will get a Kingsford Electrician who has the time to find the best solution for your needs.